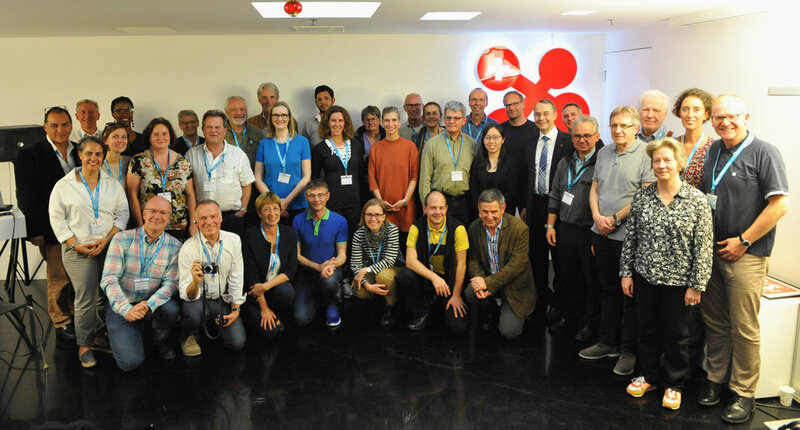 On October 22, we warmly received an Executive Visiting Delegation from IDHEAP, the Swiss Graduate School of Public Administration, at the swissnex China offices. Dr. Felix Moesner, Science Consul and CEO of swissnex China, gave them an insightful presentation on the mission of swissnex China as well as the scenario of higher education, research and innovation in China. 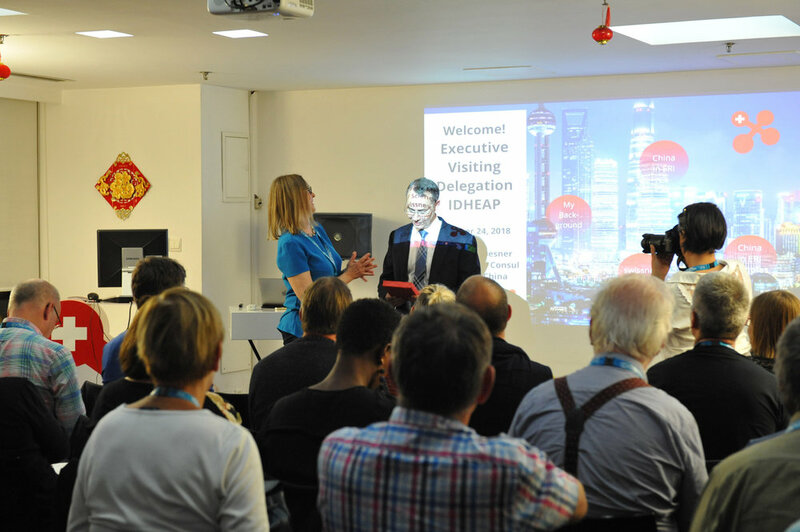 Dr. Felix Moesner warmly received the delegation from IDHEAP and presented the swissnex China mission. During the Q&A session, the participants were keen to know more about how swissnex China operates successfully based on the public-private partnership model. Additionally, they posed many questions regarding the “One Belt One Road” initiative and e-government development in China. Mr. Olivier Zehnder, Consul General of Switzerland in Shanghai introduced to the group the Sino-Swiss relations and Swiss presence in China and Shanghai. IDHEAP (the Swiss Graduate School of Public Administration) is founded in 1981 and became part of Faculty of Law, Criminal Sciences and Public Administration of University of Lausanne in 2014. The Executive Visiting Delegation is composed of 32 students working at public universities or administration. The main goal of their visit is to have a better understanding of what constitutes the modern public administration and innovation in China. swissnex China wishes them a rewarding and fulfilling trip in China and looks forward to welcoming them again in the near future!